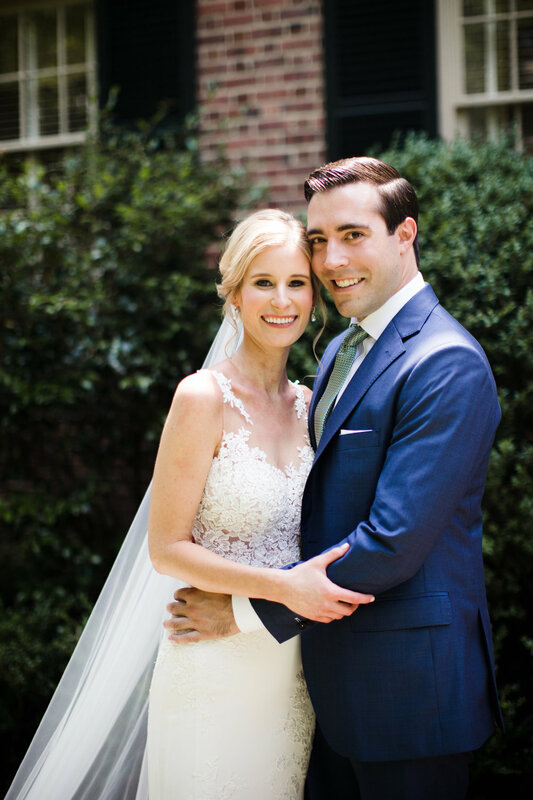 Spring is in the air and we are kicking into high gear with wedding season. Wedding invitations picked out months prior to the wedding are being stuffed, stamped and delivered. Every invitation has its own story behind it. 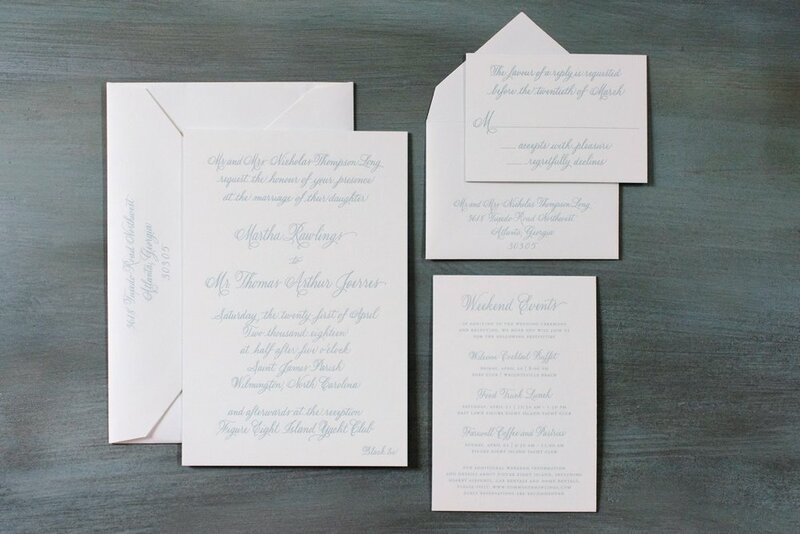 Even a very traditional bride can put her own individual style on a classic invitation suite. For something to become a classic it must stand the test of time, and quality craftsmanship is a must. There is no doubt that the William Arthur beaded border card fits the bill. 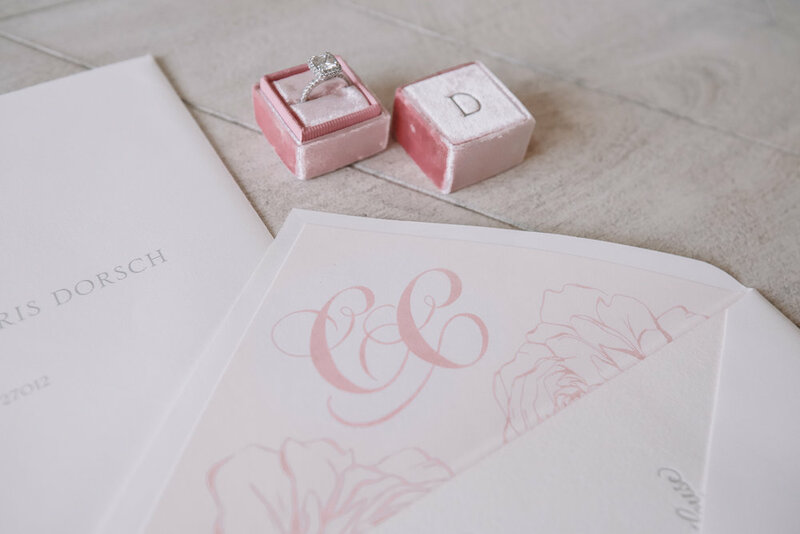 Available in both ecru and white, the invitation features a delicate beaded border that has been blind embossed on the paper. Blind embossing is actually the same process as engraving, but no ink is used. Instead a beautiful pattern or texture is etched into the paper. Turning the orientation of the card to horizontal creates a fresh take on a classic. Katie did not include any motifs on her invitation since she used all script lettering. The flourish used on the invitation was later carried into other pieces at the wedding including the personalized cocktail napkins as well as signage. There are so many options when it comes to creating your own unique look. Another bride opted for more modern fonts, and a scalloped envelope with a bold liner. The same beaded border card is also available in a square size. A classic layout on a square card is an unexpected detail. 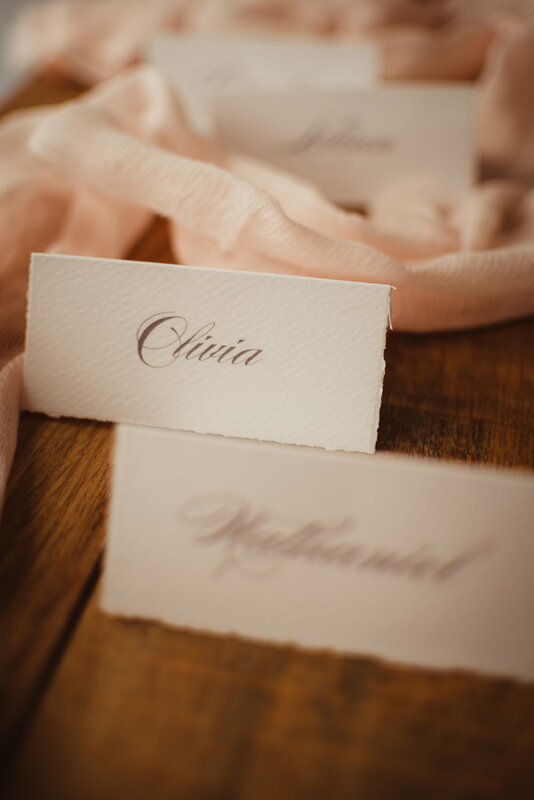 So tryout different fonts, change up the ink color, pick an envelope liner that matches other colors in your wedding. Have fun! You can be traditional and unique all at the same time. Beveled Edge... Painted Edge... Deckled Edge... Rounded Corners. We are huge fans of them all. When it comes to customizing your paper trousseau, the options are immense. 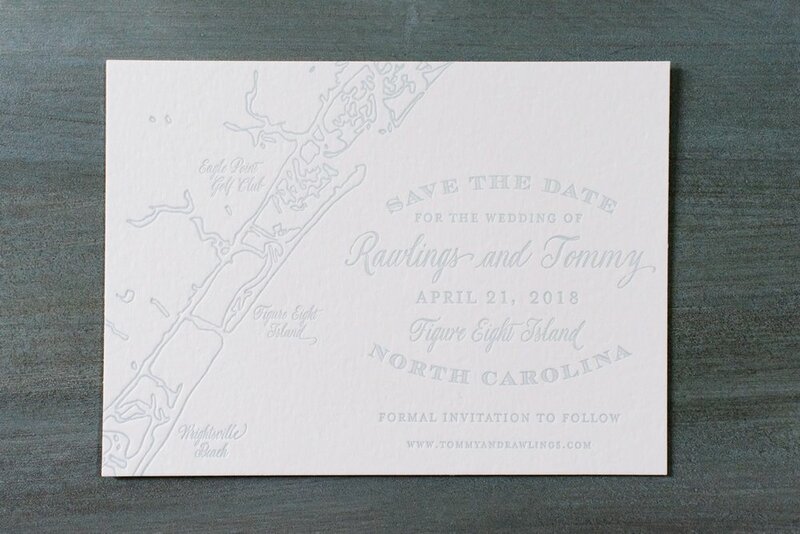 And adding an edge treatment can really make your invitation unique. 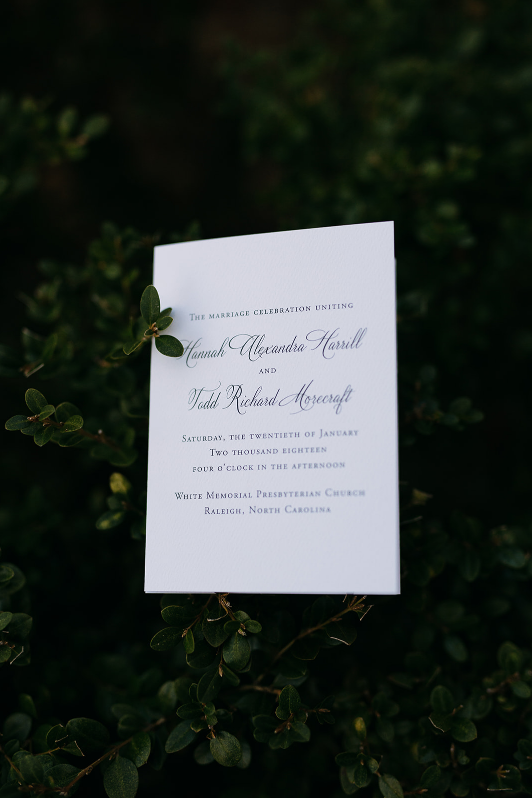 Painting a gold beveled edge ups the formality of any invite. Try pairing a neon color painted edge against a stark white card- everything pops! 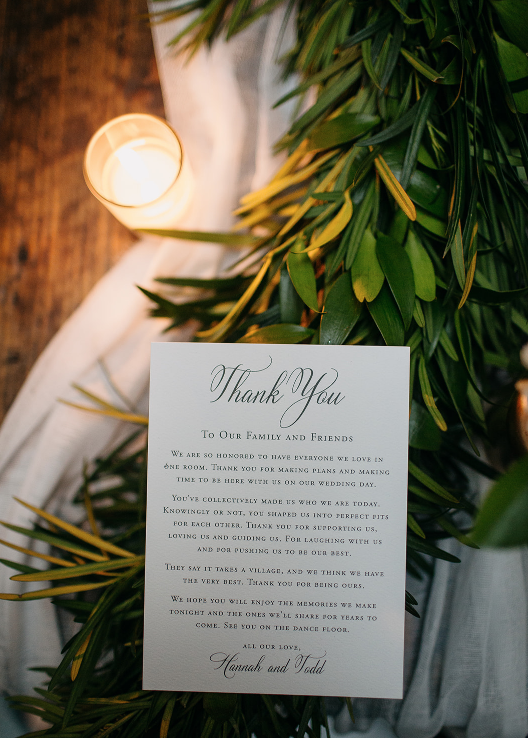 Two invitations, side by side, with the exact same font, text, and layout can feel completely different when one card has rounded corners and the other does not. Edge treatments tend to be more noticeable on thicker card stock. But it is certainly not exclusive. Sometimes subtle is best. And the romantic deckled edge paper is usually thinner. The torn edges are better seen that way. There is a lot of lingo in the stationery world. Don’t let it scare you. If you can describe your idea, we can figure out the technical term to use to turn your visions into a reality. Read on for a brief description of some different edge treatments, and then start dreaming away. A painted edge is the addition of color on the actual sides of the paper. 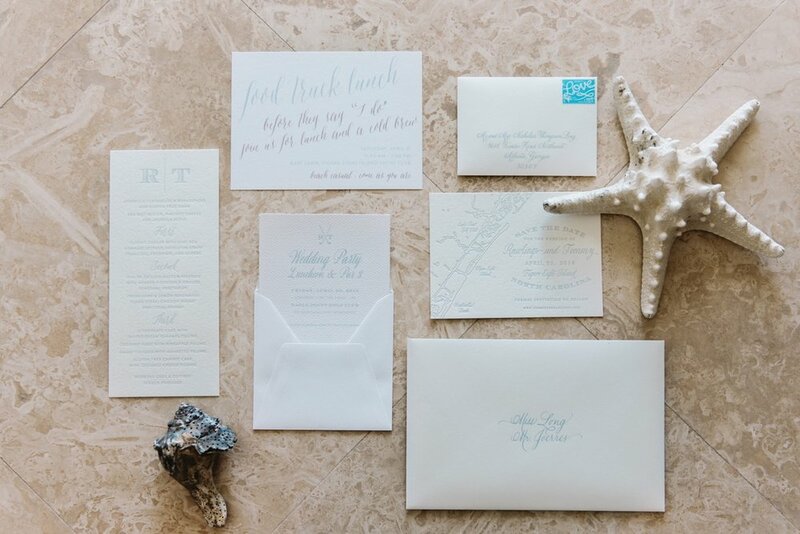 Once the stationery or invitations have been printed, the card stock is stacked and the edges of the paper are painted using a wide paint breyer. Every company has a different set of their own paint colors to choose from, but you can also mix custom colors. 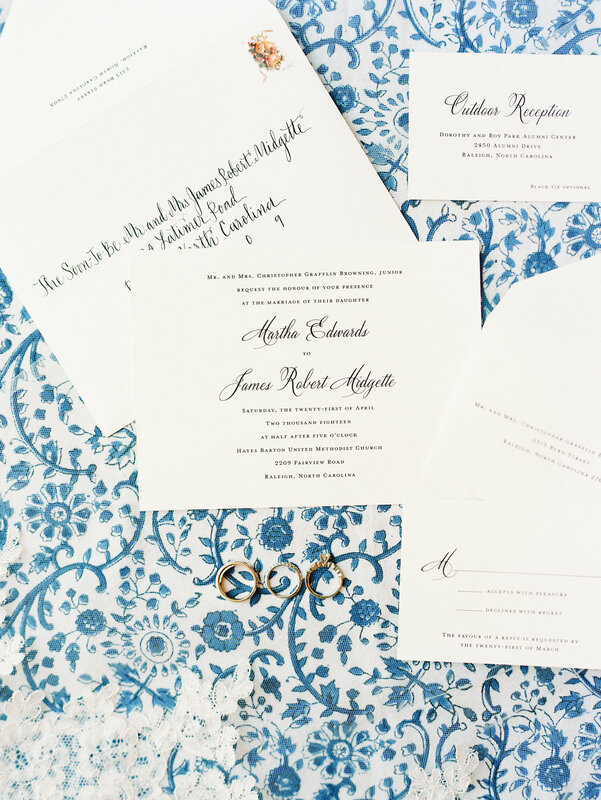 You can opt to paint the edge of each piece of your wedding suite, or just the main invitation. Check out this video showing how a craftsman at Crane and Co. apply a painted edge. The shade of blue is so lovely against their Pearl White paper. Imagine how different this same invitation would appear with a red painted edge? Or perhaps in a foil? The edge treatment totally transforms the suite. Similar to a painted edge, foil can be added to the sides of paper. Thin sheets of foil or gilded leaf are applied to the stacked paper. It is shinier than doing a traditional painted edge and really pops. Beveling is the process of cutting the edges of the paper on the diagonal (approximately a 45 degree angle). Doing so exposes another edge of the paper. It makes a painted edge stand out more. Beveling can be added to square corners or to rounded ones. Corner rounding is just what the name implies- instead of a traditional 90 degree angle, the paper is cut (often using a die) so the corners are rounded. It can be applied to rectangular or square cards. We usually recommend that you round the corners of each piece in your ensemble. The deckled edge refers to the hand-torn appearance of the edge of a piece of paper. It is a soft edge, appearing almost feather-like. A deckled edge can be hand torn, which is often used in books, scrapbooks, or water color paper. The edge is quite thin and delicate. 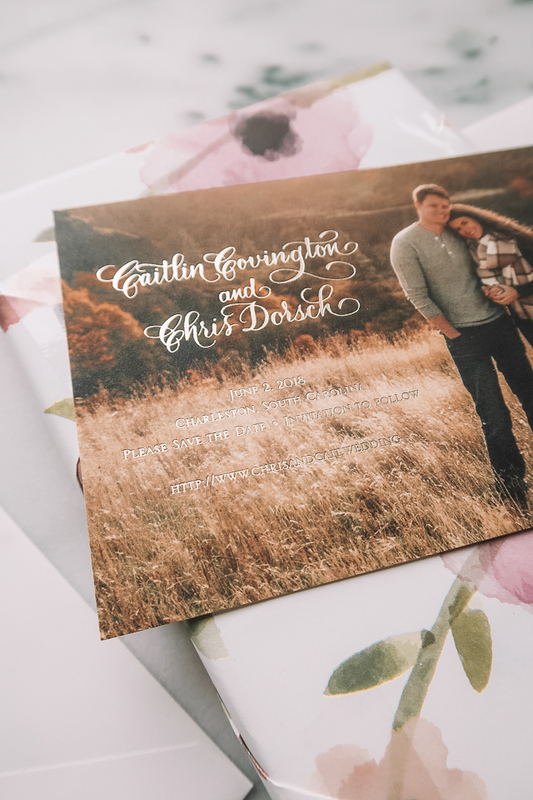 Deckled edge paper used for wedding invitations and stationery is often created using a machine. It still gives the same appearance, but is a little stronger. So many options. One of each, please! We’re pretty obsessed with snail mail (in case you haven’t noticed). And there can’t be snail mail without postage. Your postage stamp has a very practical job; it covers the cost of getting your invitation across town, or across the country. And yet, even though practical, it can still convey a sense of style. Is love in the air? Obsessing over that “something old”? 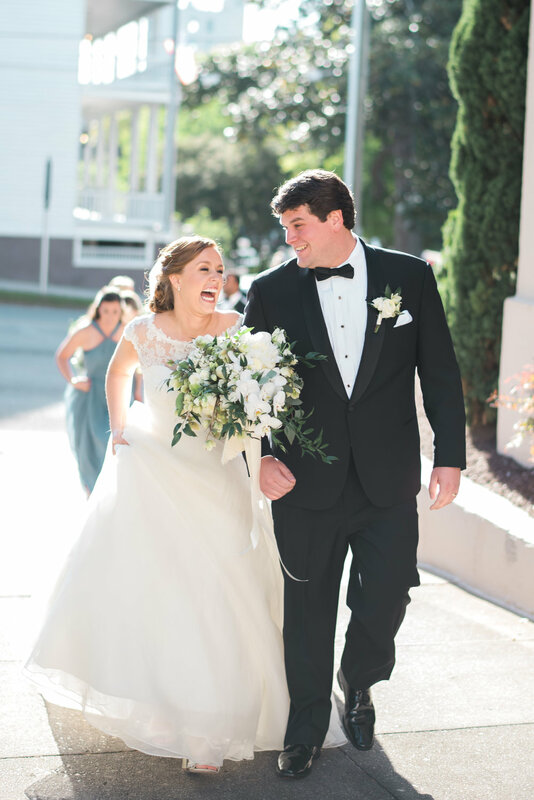 Have a destination wedding? Why not let the first impression on your envelope tie in to the overall feel of your event? You will need stamps for the outer envelope, but don’t forget to put another stamp on the smaller envelope for the reply set. It will help ensure that the rsvp comes back to you. The USPS offers several different wedding themed stamps, including some by our friends at Rifle Paper. You can create personalized stamps sanction by the post office. Adding a collection of vintage stamps to your invitation is another trend we happily stand beside. There are stamps for every occasion. It makes running to the mailbox that much more fun! Stamps, Wedding Invitations, Snail Mail, Rifle Paper Co.